This story appeared first in Romanian on ProSport, and has been translated by the author for Futbolgrad. “Did you ever receive financial help from investment funds in exchange for your players’ economic rights?” DigiSport Special (one of the most popular sports TV shows in Romania) host Vali Moraru read the question from his laptop to his famous guest Gheorghe Hagi. This was an emergency solution that ProSport reporters had chosen at the last moment. In the three days prior to that moment, Hagi had not answered his phone. He did not want to talk about Cristian Manea—the Viitorul defender who had been sold by Hagi in 2014 (read the story here)— in a secret transfer to Apollon Limassol. Everybody in Romanian news, and dozens of respectable foreign journalists, thought that the player went to the Belgium club Royal Mouscron-Péruwelz on a loan deal from Chelsea. Inn fact, he was transferred for €2.5 million to a Cypriot club controlled by Pini Zahavi, which then loaned him out to the Mouscron. After a few seconds of silence, Hagi came up with a stumbled answer: “These are my club’s internal matters which can be better understood if you are inside the club. I cannot tell you if I have a deal with someone or I don’t have”. Things are complicated, because if Hagi has indeed signed a partnership with an investment fund in exchange for the rights of several Viitorul players, this deal could technically put his club in violation of FIFA rules. FIFA ruled that, as of January 1, 2015, third-party ownership (TPO) is strictly forbidden. Today we investigate two other mysterious transfers made by Gheorghe Hagi entities. Viitorul is the first team of his academy which is called Academia Hagi. It has been the case that Romanian players that are monitored by a foreign clubs are called-up by the national team. Often this is an arrangement between a club, an agent, and the national team coach in order to increase the value of a player, and give the club and agent a better negotiation position during transfer talks. “Congratulations to Victor Pițurcă (Romanian national team coach at the time) for calling up Manea”, said a proud Gheorghe Hagi on June 2 2014, two days after his 16 years old defender became the youngest player to wear the national team shirt. Manea was surprisingly included in Pițurcă’s line up for the friendly against Albania, but he remained on the bench against Algeria, four days later. A week after these games his parents secretly signed a contract that woud move their son to the Cypriot club Apollon Limassol. Despite the fact that he played for one more season for Viitorul, the player bought by the Cypriot company Apollon Football (Public) Limited for €2.5 million, was never again called up by the national team coach. Now, Manea is on loan from Apollon to Mouscron. 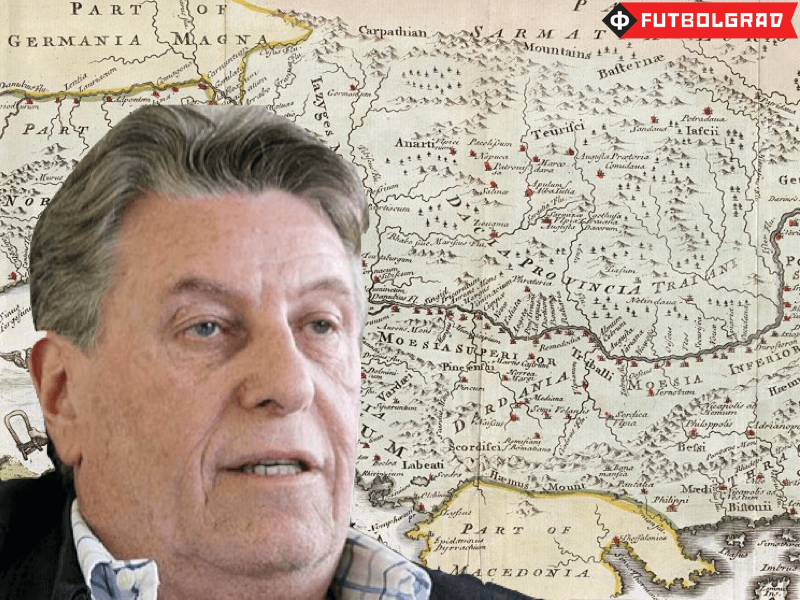 Pinhas “Pini” Zahavi, the superagent who has frequently been able to circumnavigate FIFA third-party ownership rules, controls both clubs. The phone registered to a British mobile network rings a muffled tone. After a few seconds, you can clearly hear an old man’s voice saying “Hello!”. We have reached, in the United States, one of the world’s most influential player agents. “Please be quick! I’m in US,” says the Israeli superagent Zahavi. Reporter: We would like to talk about a Romanian player from Mouscron. Zahavi: “Manea?”. The former Tel Aviv sport journalist seems to have a very sharp mind. The Belgian club became his property after he promised a €8.5 million investment over the next three years and he knows his goods. Reporter: Yes. We want to know why you have bought this player? Zahavi: This is not a problem for us to discuss right now. I’m not his agent. Please talk to his agent. Thank you. Quick, efficient, mysterious—this is Zahavi’s style. He was the agent who organized Roman Abramovich’s visit to Manchester United’s Carrington training ground in the early 2000s. The Russian oligarch had wanted to buy United. Soon after, Zahavi—now 73 years old—advised Abramovich to buy the Chelsea Football Club instead. During the 1990s, Zahavi developed a network within the world of Russian oligarchs with Jewish origins who had enriched themselves during the privatization of Soviet state companies. After only a minute on the phone, Pini Zahavi hung up. Yet one call from his mobile phone can decide the destiny of dozens of football players from all over the world, including Romania. According to the media, Zahavi, who is nicknamed Mr. Fix It, controls a web of companies registered in tax heavens, from the Virgin British Islands to Cyprus. Before writing about the Romanian links, let’s take a look at Andrija Živković. Steaua Bucharest’s fans remember him very well, because in August 2015, the young Serbian scored a goal for Partizan Belgrade, which helped his team to win the tie against Steaua 5-3 on aggregate. The 19 years-old Živković is a fantastic talent. He won the U-20 World Cup title with Serbia, and he has been linked with a move to Real Madrid, Benfica Lisbon, Borussia Dortmund and Chelsea. His contract will expire this summer, but his father will not let his son sign a new contract as he wants to ensure that only Partizan will hold the full economic rights of the player. On August 2014, two months after Hagi secretly sold Manea to Apollon Limassol, the same Cypriot club also covertly registered a contract signed by the then Partizan president Dragan Đurić. 50% of Živković’s economic rights were sold to Apollon Football (Public) Limited for €1.2 million paid in two installments: €900.000, and €300.000. According to the contract, Partizan kept 25% of its player but Apollon could buy even this percentage for €600.000. The player’s family retained 15% and his agent 10%. In fact, Partizan received a €5 million offer for Zivkovic from Benfica, a club with excellent business-links to Zahavi. Now Partizan is compelled to pay Apollon €2.5 million. Because the player refused the transfer, and also refuses to sign a new contract, the club officials have decided to move him to Teleoptik Belgrade, a satellite-club. The Serbian media reported that Živković cried when he heard about the decision. Živković’s case is only the most recent in a long list of questionable dealings. Back in 2012, an investment fund controlled by Zahavi bought Lazar Marković from Partizan. 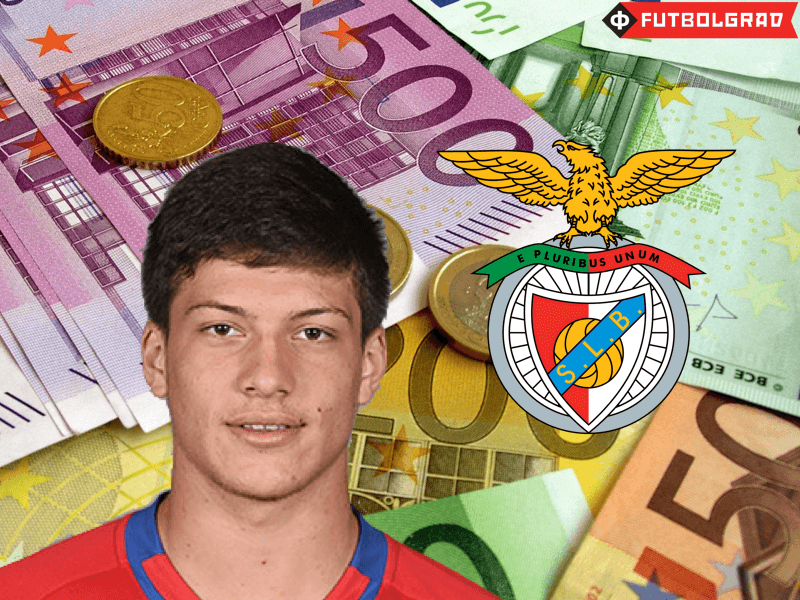 One year later, the player went to Benfica only to be sold to Liverpool in 2014 for €25 million. Half the amount went to Zahavi’s investment fund. The rest was shared between Benfica and Partizan. Marković’s brother is now a team-mate of Cristian Manea at Mouscron. This is only a small sample of Zahavi’s deals. According to Serbian journalists, Partizan sold over €100 million worth of players in the last decade. The club, however, is still in a precarious financial position after president Đurić left the club with a €13 million debt. Another talented Serbian player, Luka Stojanović, was sold by Partizan to Sporting Lisbon back in 2012. Two years ago, David Conn from The Guardian published a great story on the network of screen-companies that had allegedly been established by Roman Abramovich and Jorge Mendes. The rights of nine Sporting Lisbon players were controlled through this network. Now, Stojanović plays for Apollon Limassol. When asked by ProSport reporters about his club colleague Manea, the Serbian replied: “No, I don’t know him. I only know one Romanian. Cristian Ponde from Sporting.” Ponde is one of the nine players who had been caught in the Abramovich-Mendes business network. Apollon was used recently as a bridge club for another talented player from Serbia, Luka Jović, from Red Star Belgrade. Bought by the Cypriot club and then loaned back to Red Star, the player was finally sold to Benfica almost three weeks ago for €2.2 million. Apollon has owned 70% of Jović’s rights since 2014. Zahavi’s partner, a Macedonian with Albanian origins, Abdilgafar Ramadani, a.k.a. Fali or Falji, is in charge of Zahavi’s Balkan operations. Ramadani owns LIAN Sports agency and his trusted employee is Nikola Damjanac, a former Partizan goalkeeper. Damjanac is, in turn, the brother-in-law of Zvezdan Terzić, the former president of the Serbian football association as well as OFK Belgrade. As president of OFK, Terzić was detained in November 2010 for fraud. In July 2011, he was released after posting a €1 million bail. Terzić is now the president of Red Star Belgrade, and was recently involved in Marko Grujić’s controversial transfer from Red Star Belgrade to Liverpool. It is very difficult for journalists to check all the transfers that occur in the Zahavi network. The Slovenian defender Emir Dautović, for example, is the property of Apollon but he came from OFK Belgrad via Mouscron. We include a list of all the players from former Yugoslavia who have been moved between shell-clubs or clubs with close connections to Zahavi. We only named the clubs with strong ties to Zahavi. All these players have the same agent: Fali Ramadani, Zahavi’s partner. Ten players are on the list and half of them went through Mouscron. 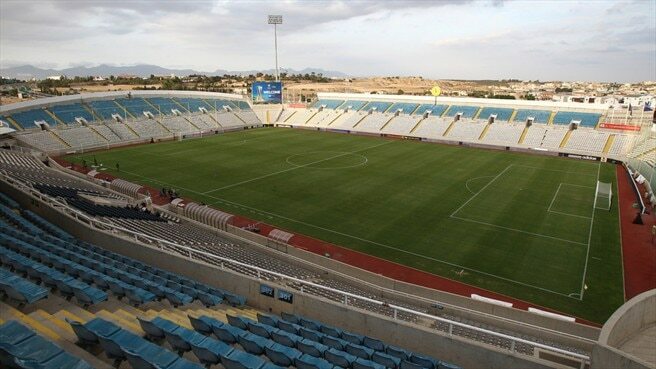 There is no connection to Apollon but that doesn’t rule out the possibility of other players being sold to Apollon Football (Public) Limited without official acknowledgment. Remember, Manea’s transfer to Apollon was not known to the public for 20 months before ProSport and Futbolgrad published the story last week. One of the players signed to LIAN Sports agency is Nemanja Radonjic. The 19 years old left-winger is loaned from AS Rome to FK Čucarički, which are currently second in the Serbian SuperLiga. No one other than a few people close to Gheorghe Hagi knew that Radonjić also played for Viitorul. Five years ago, when the player was only 14 years old, Radonjić played for Partizan at the Eastern Stars Cup, a friendly competition organized by Academia Hagi. The young Serbian scored a goal in a 5-1 win over Hagi’s U-15 team. He was Partizan’s captain that day. Two years after that game, Radonjić was enlisted by Academia Hagi, but no journalist in Romania wrote about it. Academia Hagi’s official website goes back only to October 2014 so no record of the Serbian player exists there. According to the extensive Transfermarkt.com website, Radonjić signed for Hagi’s academy in October 2013. The player could only transfer as a free agent as the registration period had expired one month before. In December 2013, the Italian newspaper Il Messaggero reported on the imminent move to AS Roma’s for Radonjić. But what the Italian journalist didn’t know was that Radonjić was no longer a Partizan player, but was officially owned by the Academia Hagi. Why would Partizan have lost such a talented player on a free transfer? Furthermore, did Radonjić actually move to Romania or was his transfer just on paper, like Manea’s move to Apollon? Owner-manager Gheorghe Hagi, sporting director Zoltan Iasko, and general director Cristian Bivolaru didn’t answer this question so ProSport called Academia Hagi president, Pavel Peniu. He admitted the player was transferred to his club but that he had not seen his face during his time in Romania. “Radonjic was our player two years ago. I know we did the deal I was expecting to see him playing. He came, but unfortunately stayed for a very short time. He got injured and didn’t play for us. I don’t know too much about his situation because at that time I was staying at the club headquarters in Constanta and the team was training and playing near Bucharest [ 220 kilometers away]. I don’t know when Nemanja got injured. Our intention was to use him in the senior team. We didn’t have a reserve team back then. But then the injury problem appeared and, I don’t know why, the deal fell through”. On Serbian websites there is no mention of an injury suffered by the U-17 Serbian national team captain Nemanja Radonjić. Neither did any of the Serbian journalists contacted by ProSport remember the player’s mysterious injury. 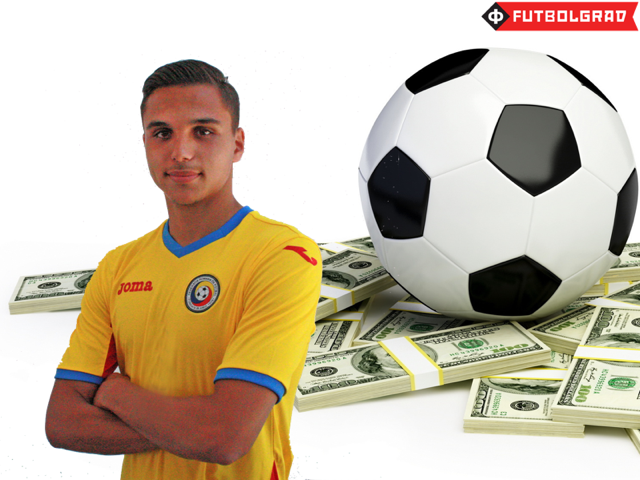 Even though Peniu said the deal fell through, transfermarkt.com lists a 16 day short loan from Viitorul to AS Rome Primavera (Roma’s youth team) in February 2014 for the extraordinary amount of €1.04 million. But if Viitorul didn’t buy the player from Partizan, as was stated by Peniu, the player couldn’t have been loaned by Viitorul to AS Roma. When asked about the Serbian loan to Rome’s Primavera team, Peniu said: “Probably he went to Rome from our team. I know he went there to do a proper recovery. I don’t have too many details. I don’t remember. I didn’t even see his face”. 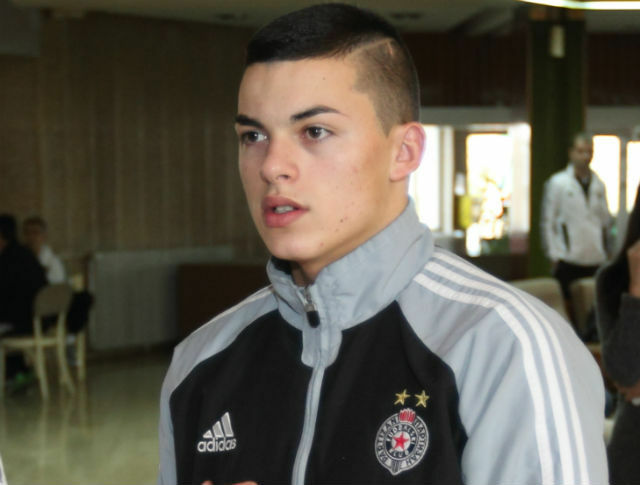 Despite the fact that Radonjić was one of the wunderkinds that emerged from the famous Partizan academy, his transfer to Romania was announced by Partizan’s president Dragan Đurić two months after the deal was completed. In December 2013, Đurić told the Serbian media: “Radonjić went to Romania two months ago. Of course we received compensation. From what we know, he didn’t train there. We had no conflict but this boy has a problem in his head. His behavior disturbed the activity of our academy”. Injured or not, Radonjić went to AS Roma Primavera on February 1, 2014 and five days later he played for 64 minutes in the match against Benfica U-19, which finished 0-0, at the Viareggio Cup. According to transfermarkt.com, he returned to Viitorul on February 16 2014. On September 1, 2014, Radonjić left Viitorul for Empoli on a free transfer. One year later, he signed for AS Roma. The player couldn’t be contacted for a comment on his situation. There was no word about the Rome loan deal and nothing was said about the transfer fees involved. Also, how can it happen that a player just leaves a club and nobody files a complaint about it? In January 2016, Liverpool bought the 19 year old Marko Grujic from Red Star Belgrade—a player who president Zvezdan Terzic offered to Pini Zahavi a year ago. There’s no proof that Zahavi’s investment funds got any percentage of the player’s future transfer. But we do know that there was mounting pressure that Grujić to sign a deal in England and that Grujić’s father, Goran, vehemently opposed his son’s move to England. A sports journalist in Serbia, Goran Grujić announced that his son’s passport was kept in his desk drawer, and that it would stay there until the summer. “Liverpool pay €7 million and then they loan him back to Red Star for one million? Really, I’m starting to think I should call the police to tell them everything about this pressure”. A few days later, Grujić’s father suffered a car accident in which he suffered minor injuries. Soon after, Marko Grujić agreed to sign for Liverpool (for more details on the deal read Miloš Marković’s excellent article here). But the Balkans are only part of Zahavi’s football empire. According to the Italian journalist Pippo Russo, Zahavi’s influence over Italian football is also impressive. Zahavi’s business partner Fali Ramadani has been the unofficial transfer adviser for ACF Fiorentina for years. In addition to that, Ramadani is also influential at Inter Milan, AS Roma, Atalanta Bergamo, Sampdoria Genoa, and Bologna. On February 11, 2015, the official Academia Hagi’s Facebook account announced: “Officially! Fabrice Olinga was transferred by FCV”. That means to Football Club Viitorul. There was also a picture with team manager Costin Mega happily shaking Olinga’s hand in front of the cameras. Viitorul had just signed the youngest goal scorer in the history of the Spanish Primera Division. 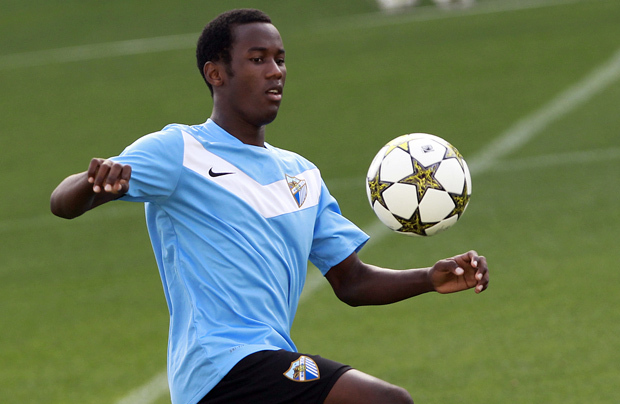 In August 2012, Olinga scored for Malaga at the age of 16 years and 98 days. Where did the player come from? The Romanian media reported that he came from Apollon Limassol. The Italian media announced the striker was loaned from Sampdoria, another club under the influence of the Zahavi-Ramadani duo. The confusion deepens when one investigates his record on www.transfermarkt.com. According to their data, Olinga was transferred from Apollon to Sampdoria on February 10, 2015 only to go on loan to Viitorul a day later. The following facts are certain: Fabrice Olinga didn’t play for a second in Hagi’s team despite his new manager calling him a “very, very good player”. Sources from Viitorul claim the player was not injured and trained with Hagi’s team until the summer of 2015 when he left for Sampdoria—or Apollon. ProSport called agent Chiodi, the man indicated by Hagi as being responsible for bringing Olinga to Romania. Reporter: What do you know about Olinga. He didn’t play a minute in Romania. Chiodi: He’s not with Viitorul anymore, he didn’t play because he was not registered in time. Chiodi: No. The papers were delayed and he couldn’t be registered. Chiodi: Yes, yes. Afterwards he left the club. Reporter: Was he transferred to Apollon? So, Viitorul officially announced a player’s transfer that was never properly completed. Then they offered him the chance to train despite the fact that Olinga was the property of another club. In their press release, issued after the story was published, club officials said: “The player Fabrice Essono Olinga was offered to us by a players’ agent we were working with for many years. We wanted him but because he doesn’t have an EU passport [he is from Cameroon] he couldn’t be registered in time during the February 2015 transfer window”. Do you want to know what Academia Hagi president, Peniu, previously said about Olinga’s transfer? The answer is Mouscron! Olinga is now a teammate of Manea.